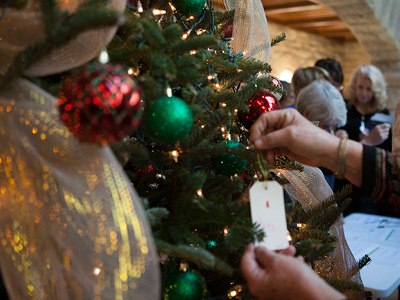 On Sundays, December 9 and 16, the Community Partnerships Mission Action Community (MAC) will again sponsor the Giving Tree at Shadyside Presbyterian Church on behalf of the families at Sojourner House and the Pennsylvania Organization for Women in Early Recovery (POWER). The tree will be decorated with special ornamental gift tags that correspond with the name of a recipient, along with pajama and slipper sizes. Please look for the Giving Tree after worship during the fellowship hour. A member of the Community Partnerships MAC will be present to register your name along with the name of the recipient. Gift-wrapped pajamas and slippers should be returned to the church by Sunday, December 23; the original gift tag should be affixed to the package. Your gift, along with your thoughts and prayers for the families of Sojourner House and POWER, are appreciated and will be a sign to them of Christ’s love this Christmas season. If you have questions about the Giving Tree, please contact Rev. Todd Leach or Deacon Lisa Iadicicco through the church office.